This weekend, I'll be up in the woods again! This time with a gaggle of teenagers and a handful of friends. Wish me luck (and survival). I'll be driving a rental minivan up, like a boss, and I am going to say just one thing about the car: huge!!! 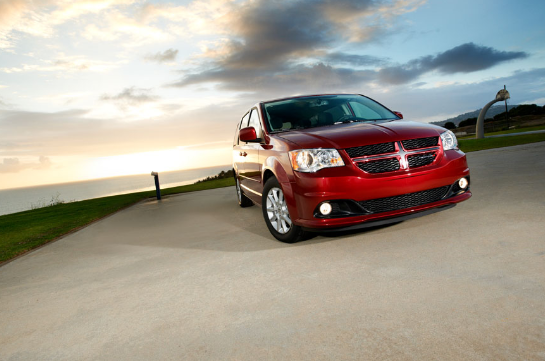 It's a Dodge Grand Caravan, but mine's not embarassingly red like the photo above. I received a super generous Christmas gift from good friend, Cindy, so I have begun looking into sewing a case for the Kindle. I remember this and this post from earlier this year. I haven't finalized the pattern, but FYI, working with felt is super easy bc it doesn't fray. Good first-time project for anyone out there, contemplating a sewing project. Saw this gold metallic twine and instantly wanted it. What would you use it for? Present wrapping, organizing, and just to stare at bc it's so pretty. Christmas is really over. : ( That means cleaning up the decorations. Here's a pretty smart idea from Martha, but I'm not sure if I'll do it. I need more ideas! Help!